Young woman holding a toothbrush and placing toothpaste on it. That is a lot of products we are using to even be able to leave the house in the morning!! And do we really have any idea of what is in all of these products that we are happy to slather on us? 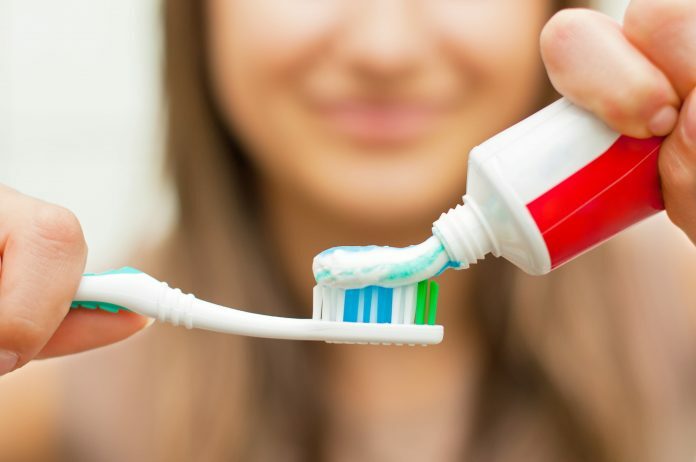 Let’s investigate Crest ProHealth for Me Toothpaste. Sodium Fluoride: fluoride is an endocrine disruptor that can affect your brain, thyroid gland, pineal gland, bones, and even your blood sugar levels2. There have been 100 animal studies and over 34 human studies and linking fluoride to brain damage and lower IQ in children. Fluoride toxicity can lead to a wide variety of health problems, including: arthritis, dementia, increased tumour and cancer rate, genetic damage and cell death, inhibited formation of antibodies, bone fractures and muscle disorders (among many others)2. Sodium Lauryl Sulfate: SLS is registered as an insecticide and may have toxic effects to marine life, including fish, insects, and crustaceans3. Polyethylene: Plastic – the same material used in plastic bags. Need we say more? Blue 1 Lake: Also called FD&C Blue No. 1, is a synthetic colour that is subject to certification by the Food and Drug Administration (FDA)4. The chemical is linked to cancer in animals and behaviour problems and hyperactivity in children5. Disodium Pyrophosphate: Large amounts of disodium phosphate or other phosphate salts may cause upset stomach, constipation or diarrhea. People with heart failure, cirrhosis or any other condition that can cause edema should avoid disodium phosphate, as it may worsen the symptoms of these conditions6. It is important to source out clean versions of your cosmetics, with ingredients that you know and can identify. Visit your local health food store to see the many options of natural toothpaste available.